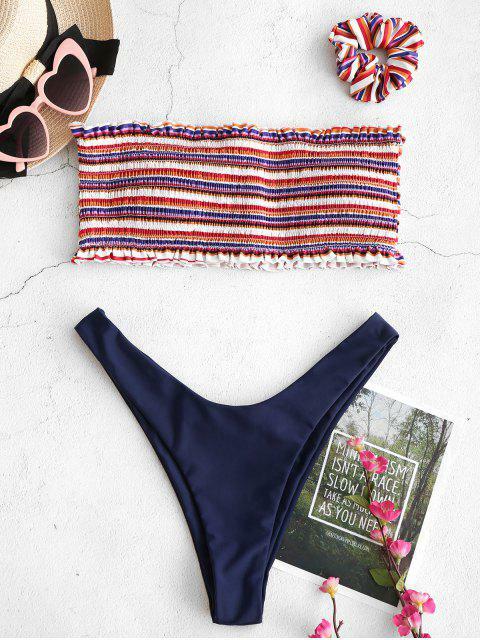 [43% OFF] 2019 ZAFUL Smocked Colorful Striped Bandeau Bikini Set In MULTI-A | ZAFUL ..
Adorned with this mix and match bikini set. 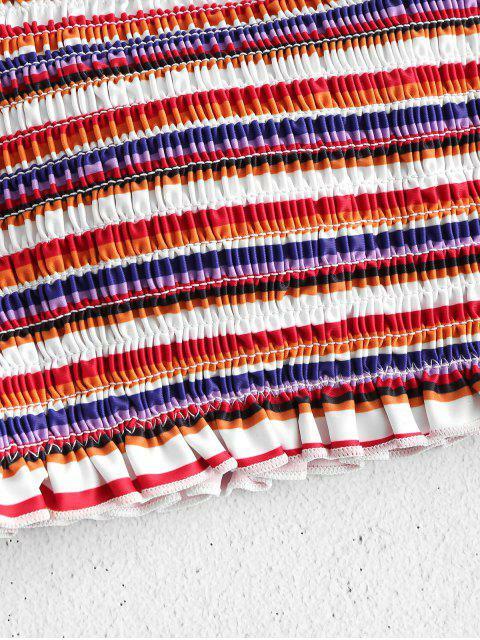 The bandeau top has beautiful smocking with tiny ruffles hems, as well as elasticized stitching throughout for a more precise and comfortable fit. The solid briefs in cheeky style to flaunt your figure. Hairband in the same printed style as the top is very cute.